Remote video visitation is now provided by InmateCanteen. To register or login, please visit their website at inmatecanteen.com. Visits can be made from their phone but only on the full site NOT on the mobile app. A valid email address is required for visits. All visits are 20 minutes long. Constructive correspondence shall be encouraged between inmates and their families, friends and/or other associates. The only restriction(s) to this right shall be those deemed necessary to ensure/preserve the safety/security of the institution or other persons. Inmates may correspond with any person, in any language, unless otherwise prohibited in this section. Inmates are entitled to receive letters via the U.S. Postal Service, which do not violate any law, Postal Regulation or the security and order of the Cass County Jail. All mail to be sent / received by an inmate shall include complete return address. This includes first and last name, full street address, city, state and Zip Code. Inmates may not receive anything in the mail except letters, money orders, and photos without prior written approval from Jail Administration. Mail addressed to an inmate who has been transferred to a state institution shall be returned to sender. If an inmate in the custody of the Cass County Sheriff's Office is housed at another facility, the mail will be forwarded or hand delivered within 48 hours. There shall be no limitation on the volume or number of items of lawful letters, which an inmate may send or receive. Nor shall there be limitation as to the length, language content, or source of the mail. Exceptions to these rules may be imposed, thereby setting limitations, where there is clear and convincing evidence to justify these limitations for reasons of public safety, facility order and/or security. Correspondence with/from inmates in another institution or with inmates elsewhere in the Cass County Jail is prohibited. All such incoming correspondence will be returned. Incoming mail will be opened and inspected for contraband. Incoming mail will be delivered within 24 hours after receipt. Outgoing mail shall be picked up by the U.S. Postal Service except holidays and weekends. Outgoing mail should not be held longer than 24 hours, excluding holidays and weekends or when the Jail staff is not able to process said mail. All packages require prior, written approval by Jail Administration before the package's arrival. Any articles containing pornographic materials or items that could result in sexual harassment issues are prohibited and will be destroyed. No mail will be accepted with bio-hazardous markings; this includes perfume odors, lipstick, or any other indications deemed hazardous. 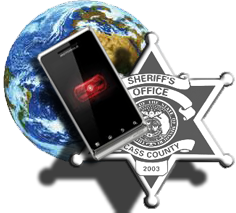 The Cass County Jail contracts TurnKey Corrections for all of our inmate phone calls. 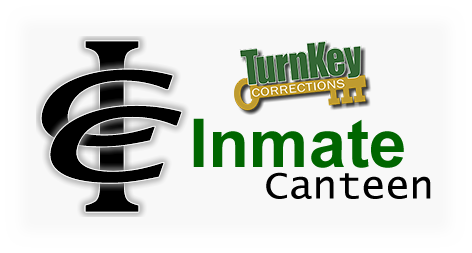 If you would like to establish an account to receive calls from an inmate, please contact them at (715) 690-2965, or CLICK HERE to visit their website.